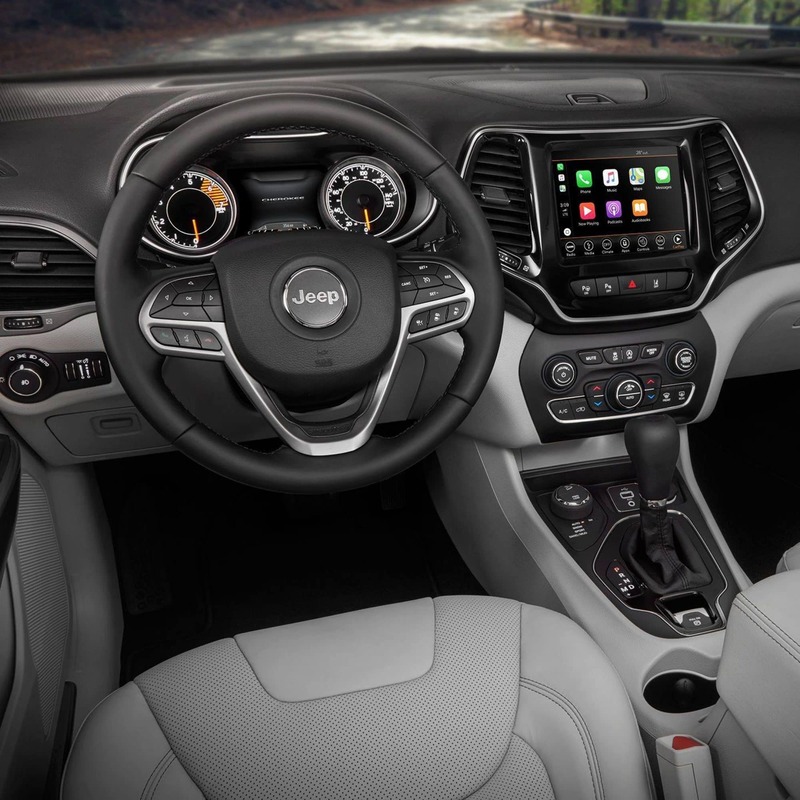 2019's Jeep Cherokee has been completely remade. Even with many changes being made not just on the interior but the exterior as well, the Jeep look we all know and love is still intact. Even with new LED lights, five all-new wheel designs, a hands-free power liftgate, and a dual-pane sunroof, the seven-slot grille and trapezoidal wheel arches are still here to stay. 2019 is also bringing in a redesigned storage solution and an all-new engine for maximum power and efficiency. What features are available for safety? Features that come standard for safety and security would be electronic stability control, hill-start assist, electronic roll mitigation, a rear backup camera, all-speed traction control, trailer sway control, four-channel antilock brakes, supplemental side curtain airbags, a front-passenger and driver inflatable knee bolster, advanced multistage front passenger and driver airbags, a keyless entry with panic button, and parking assist. Available extra features would include a universal garage door opener, rear cross path detection, a remote start system, a security alarm, full-speed forward collision warning with crash mitigation, and advanced cruise control. Which trim levels have what features? 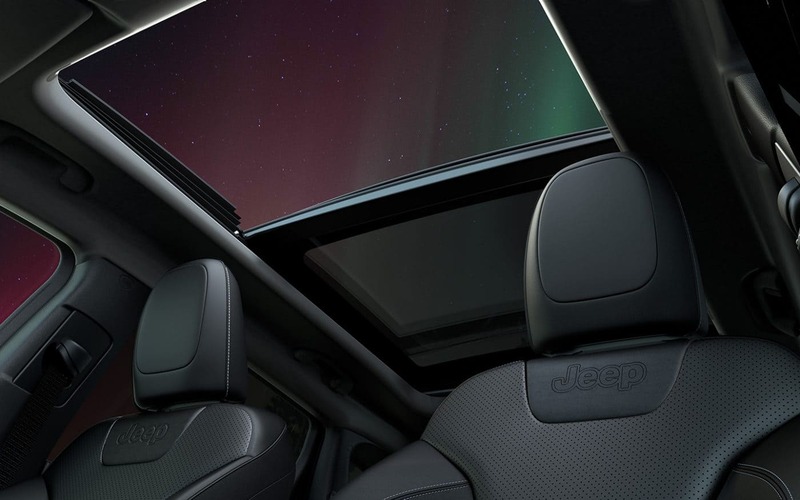 Trims available to choose from in 2019 on the Jeep Cherokee would include the Latitude, the Latitude Plus, the Limited, the Overland, and the Trailhawk. 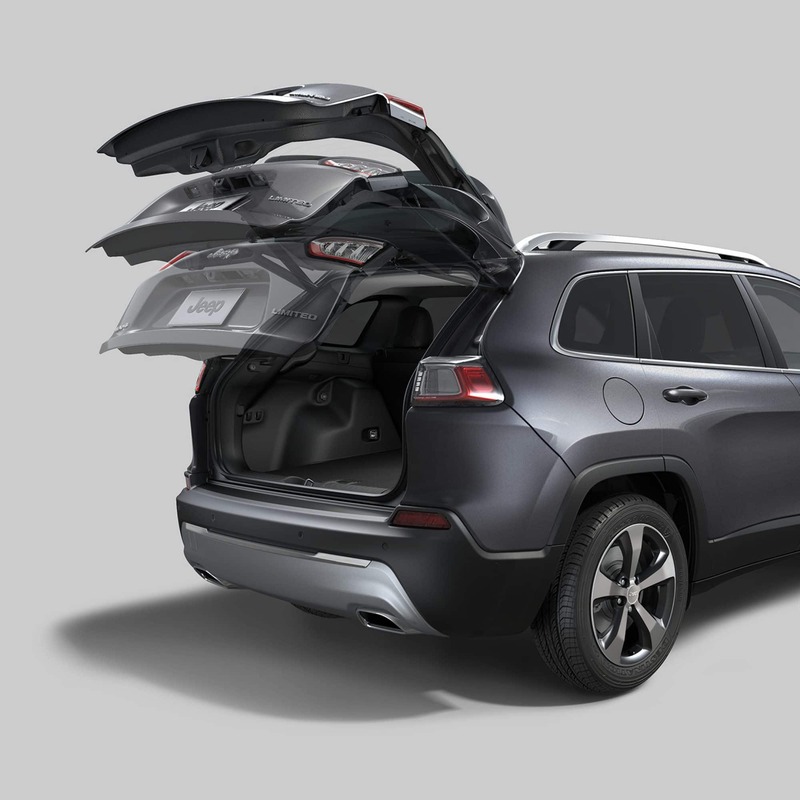 Standard across the board are features that include roof rails, a rear windshield wiper, power heated mirrors, automatic headlights, folding rear seats, a USB port, foglights, a full-length floor console, and eight cargo tie-down loops. 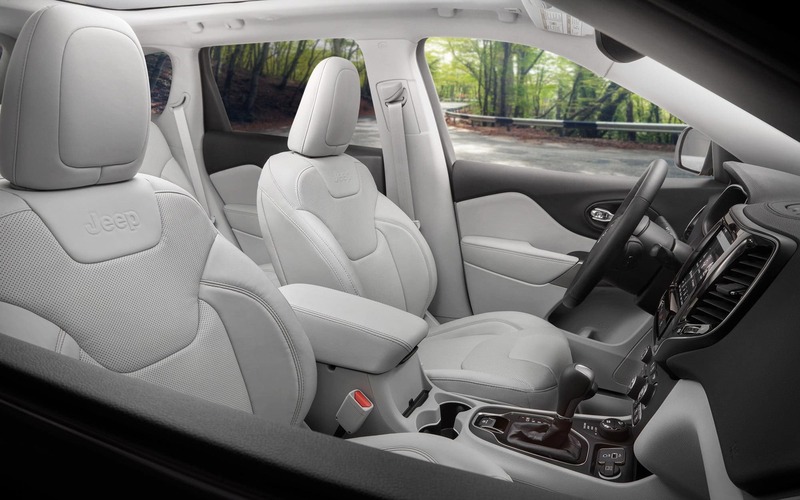 Some of the available option groups that can be added to the Cherokee would be the Cold Weather Group, Comfort/Convenience Group, Heavy-Duty Protection Group, Luxury Group, Popular Appearance Group, and many more. You can even add a Trailer Tow Group for features like a 7/4-pin wiring harness, a class III receiver hitch, a full-size spare tire, a trailer tow wiring harness, and an auxiliary transmission oil cooler. What comes with each engine? 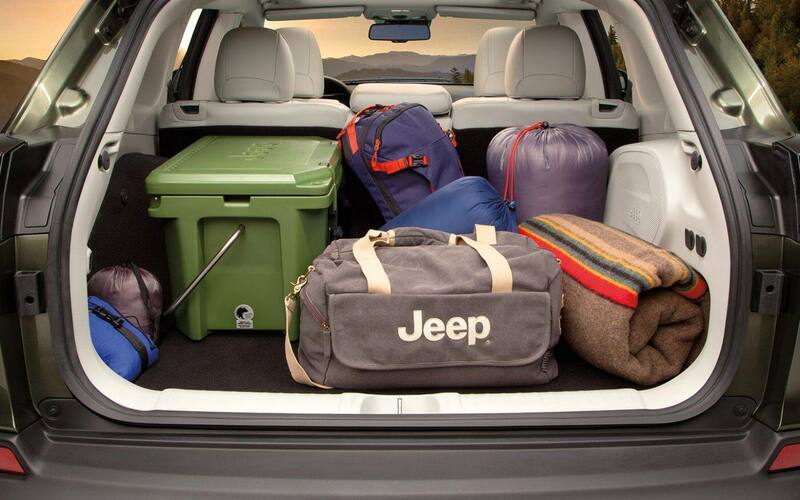 The Jeep Cherokee is available with three different engines in 2019. The first of the three engines is a 3.2-liter Pentastar V6. This V6 is capable of towing a maximum of 4,500 pounds and has enough power to rear 271 horsepower and 239 lb-ft of torque. The 2.4-liter Tigershark MultiAir2 is next with engine stop/start technology and a production of 180 horsepower and 170 lb-ft of torque. The final engine is the brand new 2-liter turbocharged inline-4. This engine comes with direct fuel injection and engine stop/start technology. The Inline-4 is focused on lower greenhouse gas emissions and an impressive fuel economy. It is capable of producing up to 270 horsepower and 295 lb-ft of torque. 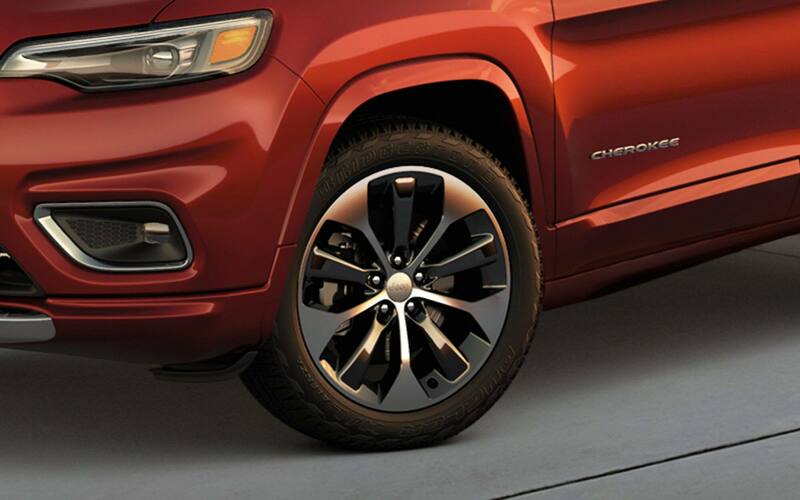 The optional drivetrains for the Cherokee include four-wheel drive in either Active Drive I, Active Drive II, or Active Drive Lock. The Active Drive II comes with a two-speed power transfer with low-range gear reduction, while the Active Drive Lock has two-speed power transfer with a low-ranged mechanically locking rear differential. 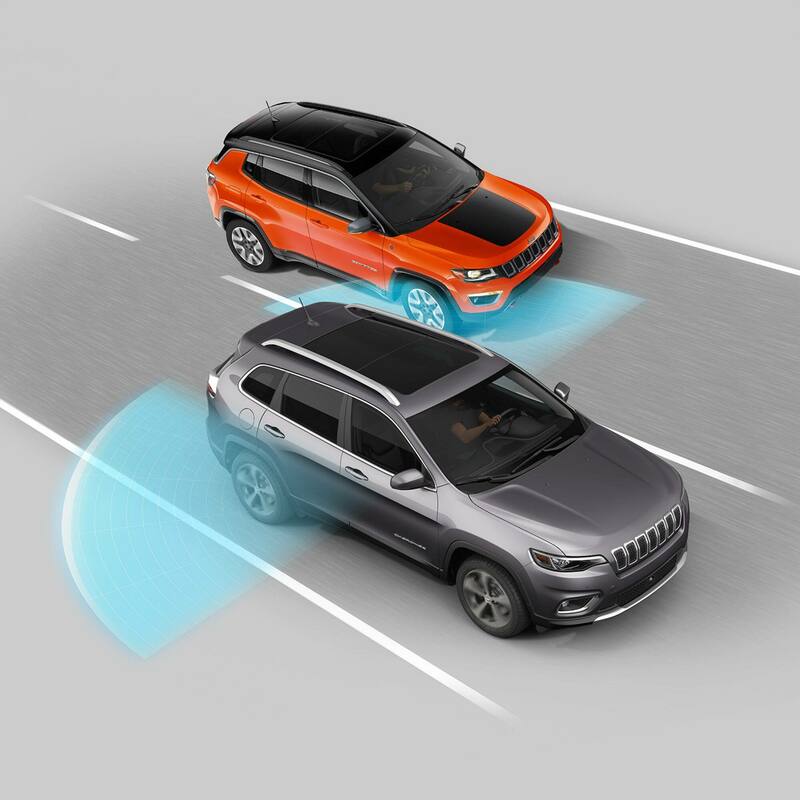 This Jeep will also come with an available Selec-Terrain traction control system that provides five available driving modes: Snow, Rock, Sand/Mud, Sport, and Auto. 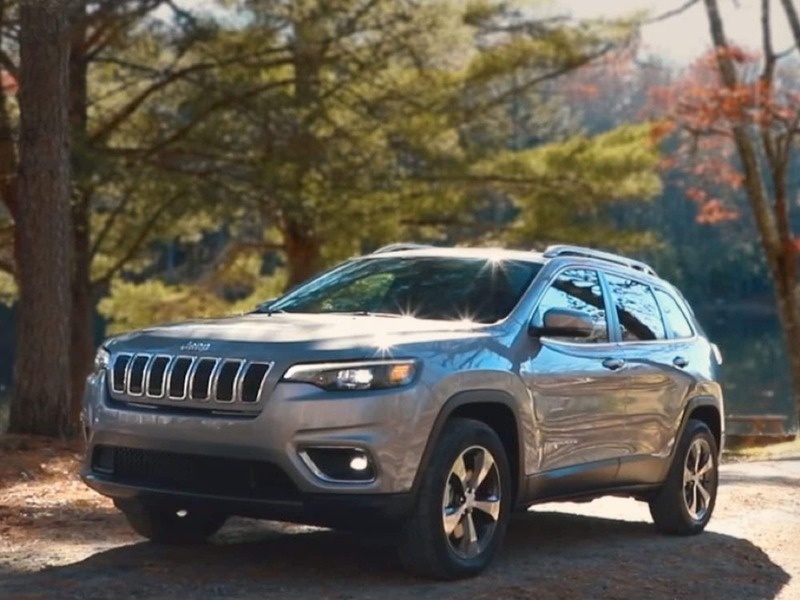 If you have any more questions about the 2019 Jeep Cherokee, please give us a call or come in and say hi.